Rockstar Games confirmed the roll out of an online component for Red Dead Redemption 2 known as Red Dead Online. This will start November 2018 with a public beta, but still few details have been revealed about the mode. Imran Sarwar, Director of Design at Rockstar North, and Josh Needleman, Senior Producer at Rockstar San Diego, sat down with IGN to reveal more information. When it comes to the Red Dead Online experience, fans can expect the same settings, mechanics, and freedom as they can from the single-player campaign, but the online context will serve to create a world of its own. The team plans to take what they learned from creating Red Dead Redemption‘s multiplayer and combine it with things from Grand Theft Auto Online. Here’s what Needleman had to say about Rockstar’s plans. Red Dead Redemption’s multiplayer was a real leap forward for us at the time. It was the first game that hinted at the real opportunities for open world multiplayer beyond cities, where the world was open as a place to create your own freeform gameplay, while at the same time was as a sort of living lobby for other, more structured kinds of game modes. 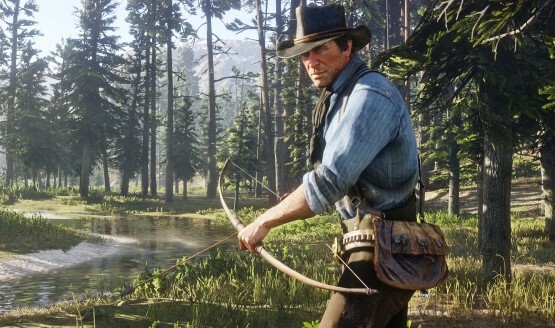 Red Dead Redemption 2 will take those ideas much further and combine that with everything we’ve learned in the years since then with our favorite elements from Grand Theft Auto Online about how to make really fun and complex competitive and cooperative experiences in open worlds, and how to introduce narrative elements into multiplayer. Let us know in the comments below you want to see from Red Dead Online.